An inspired mid century style 600mm wall mounted Monograph unit and basin. 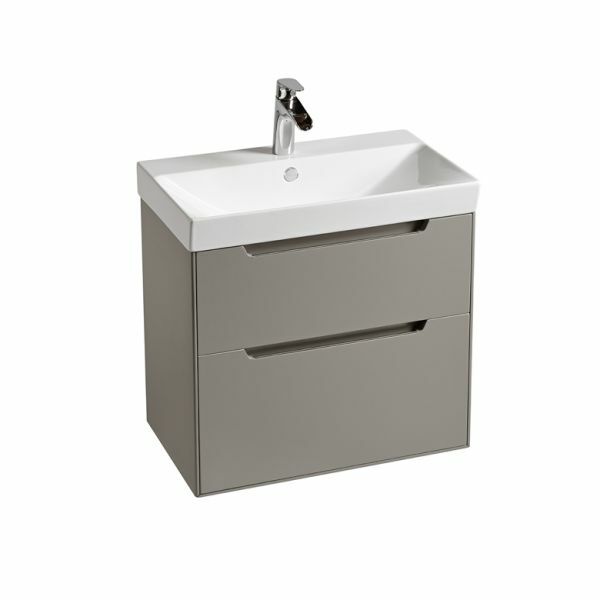 This cool contemporary bathroom unit features sleek lines and creates a functional yet stylish look. This hand painted cobblestone finish bathroom unit houses two soft close drawers, providing ample bathroom storage space. The Monograph bathroom furniture range also features a smooth tapered ceramic basin, perfect to complete the look of this contemporary bathroom unit.